Tony Kushner's plays include Angels in America; Hydriotaphia, or the Death of Dr. Brown; The Illusion, adapted from the play by Pierre Cornelle; Slavs ; A Bright Room Called Day; Homebody/Kabul; Caroline, or Change, a musical with composer Jeanine Tesori; and The Intelligent Homosexual's Guide to Capitalism and Socialism with a Key to the Scriptures. He wrote the screenplays for Mike Nichols's film of Angels in America and for Steven Spielberg's Munich and Lincoln. His books include The Art of Maurice Sendak: 1980 to the Present; Brundibar, with illustrations by Maurice Sendak; and Wrestling with Zion: Progressive Jewish-American Responses to the Israeli-Palestinian Conflict, co-edited with Alisa Solomon. 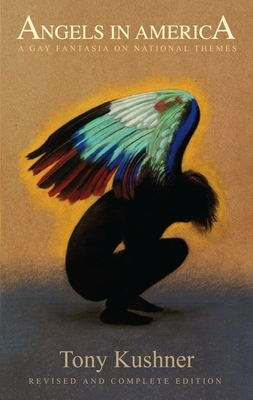 Tony Kushner's plays include Angels in America; Hydriotaphia, or the Death of Dr. Brown; The Illusion, adapted from the play by Pierre Cornelle; Slavs! ; A Bright Room Called Day; Homebody/Kabul; Caroline, or Change, a musical with composer Jeanine Tesori; and The Intelligent Homosexual's Guide to Capitalism and Socialism with a Key to the Scriptures. He wrote the screenplays for Mike Nichols's film of Angels in America and for Steven Spielberg's Munich and Lincoln. His books include The Art of Maurice Sendak: 1980 to the Present; Brundibar, with illustrations by Maurice Sendak; and Wrestling with Zion: Progressive Jewish-American Responses to the Israeli-Palestinian Conflict, co-edited with Alisa Solomon.Among many honors, Kushner is the recipient of a Pulitzer Prize, two Tony Awards, three Obie Awards, two Evening Standard Awards, an Olivier Award, an Emmy Award, two Oscar nominations, and the Steinberg Distinguished Playwright Award. He is a member of the American Academy of Arts and Letters. In 2012, he was awarded a National Medal of Arts by President Barack Obama. He lives in Manhattan with his husband, Mark Harris.